Finding a community within any city can be daunting; let alone being new to a city. Coming from a small town in Northern California, and having worked as a forester prior to moving to Detroit, one might expect a radical change in scenery. 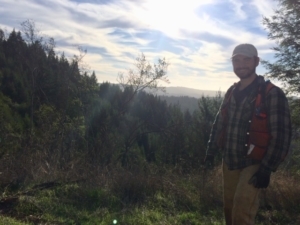 On the job as a forester in Northern California. I moved to Detroit in the summer, with a month to spare before starting Challenge Detroit. It didn’t take long for me to get the itch to get back into doing environmental work. I talked to locals and browsed the internet in pursuit of environmental organizations within the area. 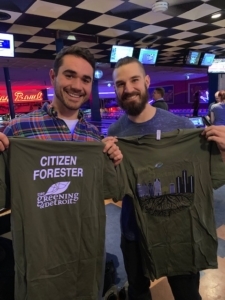 After a little research, and a few recommendations, I came across an organization with the perfect opportunity; becoming a Citizen Forester with The Greening of Detroit. Patton Park in Southwest Detroit. Being a Citizen Forester is perfect for me because it utilizes my previous experience in Forestry with my new desire to work within community development. 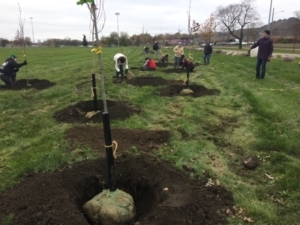 In my brief tenure as a Citizen Forester thus far, we’ve already done two plantings in Detroit; one in Patton Park and the other at Bale Playground. 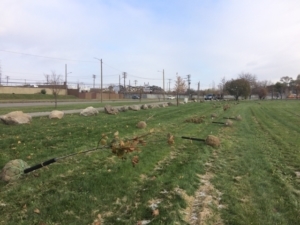 Greening of Detroit’s Planting for the Iron Belle Trail. 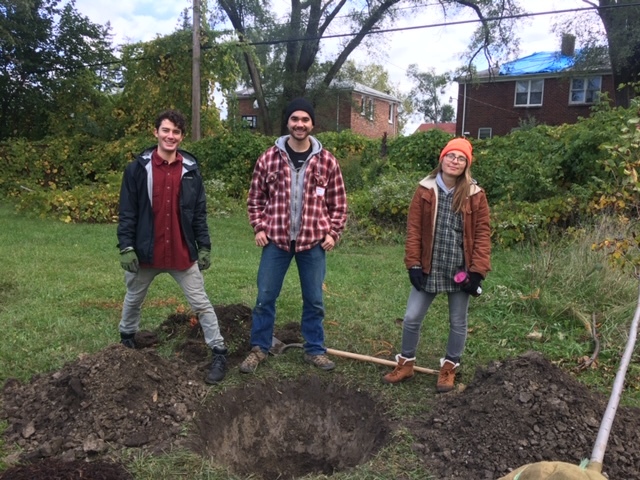 This experience has also put me in touch with Ryan Hebert, a year 5 Challenge Detroit alumni, who now works as the Volunteer and Community Outreach Associate for The Greening of Detroit. Because of this, finding a community of like-minded people that share my passion for the environment has been so much easier than I anticipated. With Ryan Herbert (right) at the Citizen Forester holiday party. I love being able to bring a unique skill set to Detroit, and make a small, but meaningful difference within Detroit.